Last weekend I was kayaking near Kasado Island and saw some Sunameri. It was the first time I saw them so close. I made sure to record some video so you could see them. Have you ever seen Sunameri before? I hope you enjoy the video and please make sure to go outside and enjoy the weather. If you are adventurous, you should try kayaking. It's very fun. Spring is here and that means warmer weather and spring flowers. Japan is getting ready for cherry blossoms and over in the U.K. the land is covered with flowers. 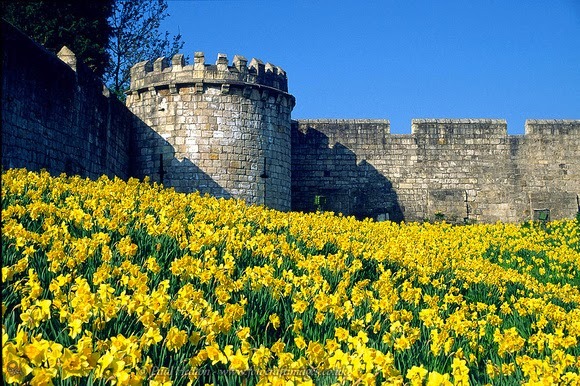 In my hometown, York, everywhere is covered with daffodils. They are on the side of the roads, in the city centre and of course in parks and gardens. York is yellow in Spring. The woods turn white with these flowers. 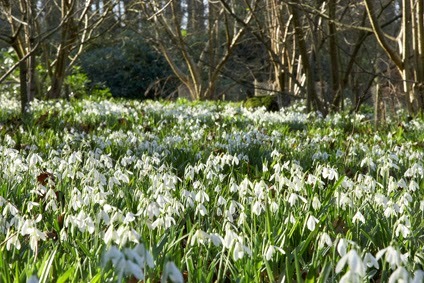 They are called Snowdrops and usually arrive in late January or early February. They can be seen growing through the snow which is still on the ground. Japan has some similar flowers but they are larger than the English snowdrops. 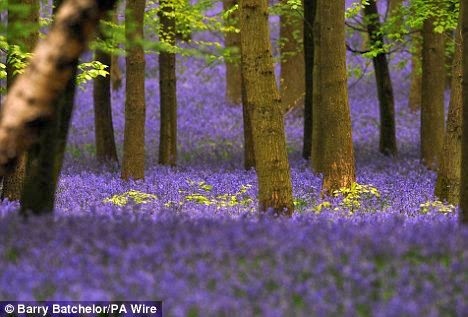 Then the woods turn blue with these flowers. These are called bluebells. They are protected and so it is illegal to pick them. In Spring the English countryside turns yellow, white and blue. Last weekend I went to Ōkunoshima or "Rabbit Island." As you can probably guess, it is a small island with MANY rabbits! Most of the rabbits stay in front of the one hotel on the island. Most of the rabbits are pretty friendly and will run up to you for food. Some even jump in your lap, and a few will let you pet them! This black and white rabbit was VERY friendly and liked being pet. There are rabbits of every color, including a few I had never seen before. The hotel sells cups of rabbit food for 100 yen, in case you run out of snacks. Using the highway, it takes about 2.5 hours to reach the ferry terminal. You can also take a train to Tadanoumi station and walk a short way to the ferry terminal from there. Cars are not allowed on the island, as you may accidentally hit a rabbit.